A few months ago, Atredis Partners had an opportunity to look at the GE Healthcare MAC5500 Electrocardiography device. This device connects to a hospital network to transfer reports to a centralized server, simplifying the workflow for EKG measurements. To facilitate transfer of this data, GE Healthcare offers MobileLink, a WiFi enabled solution for collecting measurements. The MAC5500 device does not directly connect to a WiFi network. Instead, it uses a serial to WiFi bridge made by Silex Technology. Two models of this bridge are supported by MobileLink: the SDS-500 and SD-320AN. Atredis Partners identified vulnerabilities in these devices that allow for authentication bypass and remote command execution. These vulnerabilities resulted in ICS-CERT advisory ICSMA-18-128-01. Atredis Partners disclosed these vulnerabilities according to our disclosure policy. Silex and GE Healthcare have provided a firmware update which resolves the code execution flaw and updated their documentation for the authentication bypass issue. The first vulnerability is an authentication bypass for the SDS-500 device. The SDS-500 device uses bearer token authentication to validate that a user has logged in and has access to a given resource. The check for this token is only performed for HTTP GET requests. HTTP POST requests, which are used to change device settings, are allowed without the token. The device administrator can configure an "update" password to force authentication of POST requests, but this feature is disabled by default. By performing a POST request, an attacker can change any device setting. This includes the ability to change the device password. In a clinical environment, this may lead to a loss of availability if the device's parameters are modified. The SD-320AN is a newer serial to WiFi bridge made by Silex, and is replacing the SDS-500 for some MobileLink applications. Unlike the older SDS-500, the SD-320AN runs a Linux based operating system. The SD-320AN is configured via a web interface, which is implemented by a CGI application written in C. In reviewing the application, multiple calls to system() were identified. A command injection vulnerability was found in one of these calls. The SD-320AN firmware update package was found on the Silex website. This update package is a ZIP file that contains a firmware image named "SD-320.bin". Running the binwalk utility on this file indicates that it contains a bzip2-compressed Linux filesystem starting at offset zero. The CGI application is a 32-bit ARM executable located at /usr/share/www/ssi. This executable was loaded into IDA Pro and all references to the system() function were examined. Medical devices with network connectivity pose a risk to hospital infrastructure. Security requirements for these devices are minimal and security may not be a high priority to the manufacturer. Third-party components such as the Silex bridges discussed in this article present an additional challenge to OEMs. While the vulnerabilities discussed in this article do not pose a risk to human life, they may allow an attacker to gain persistence in a medical network. Since the vulnerabilities are relatively simple, they may also be abused in a botnet attack similar to Mirai. Finally, command injection attacks are far too common on these types of devices. Whenever possible, calls to system() should be avoided and instead the execve() function should be used with constant executable paths. 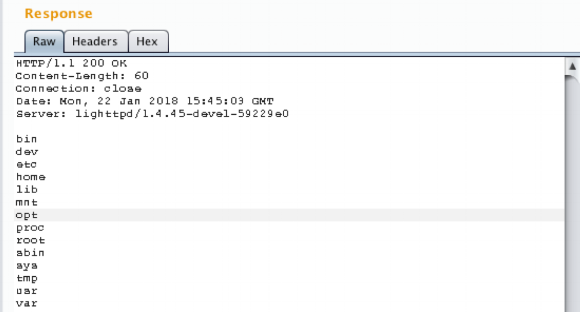 While parameter injection attacks are still possible with execve(), this change would prevent many common command injection attacks and would have avoided the vulnerability presented here. Atredis Partners would like to thank GE Healthcare for their prompt response to our advisory and to Silex Technology for confirming and responding to the reported issues.